As one of the top injectors in Palm Beach County, we are always at the cutting edge of safe and innovative dermatological treatments. Supriya Aesthetic Dermatology is proud to offer Jupiter, Palm Beach County, and West Palm Beach residents Xeomin® treatments for smoothing away moderate wrinkles caused by aging and sun exposure. Xeomin® is a revolutionary new dermatological injectable treatment specifically formulated to treat brow wrinkles, crow’s feet, lines around the mouth, and frown lines. Xeomin® is similar to Botox® and Dysport® treatments as it contains botulinum toxin, a very safe and FDA-approved treatment. Xeomin® is a revolutionary treatment perfect for individuals who previously used Botox®, but whose skin is no longer responding to treatment. Xeomin® is formulated slightly different than Botox®. This allows even the most stubborn and resistant wrinkles to be smoothed by Xeomin® treatment. Another difference between Xeomin® and Botox® is that Xeomin® slightly relaxes muscles under the skin of the treated area. This provides a natural, relaxed look for patients yet maintains alert and reactive facial expressions. If you have frown lines, wrinkles on the forehead, crow’s feet, or smile lines around your eyes, you may be a candidate for Xeomin® treatments. Xeomin® treatment may not be the best treatment options for anyone pregnant or diagnosed with neurological disorders. To determine whether Xeomin® is the right treatment for you, schedule your personal consultation with Dr. Supriya Tomar. During your consultation with Dr. Tomar, she will listen to your goals and your medical history. Once she fully understands your desired results and your full medical history, Dr. Tomar works with you to determine the treatment options which work best for attaining your goals. Cost varies based on a patient's individual needs, the areas being treated, and the brand being used (we offer Botox®, Dysport®, and Xeomin®). It is advised that patients come in for a complimentary consultation before scheduling a botox appointment so that we may assess each patient's specific needs and provide the best course of treatment. 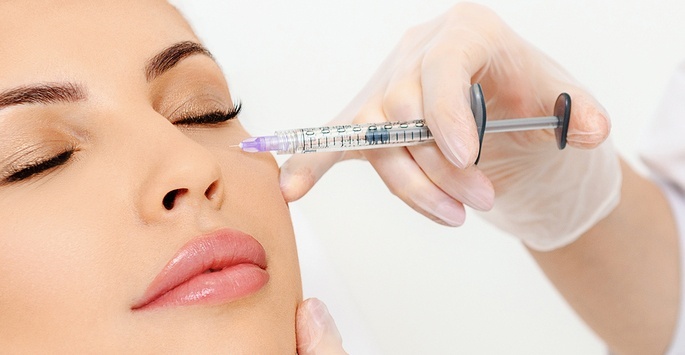 Most dermatological injectables and fillers are considered elective procedures. As such, they may not be covered by your health insurance policy. After your consultation with Dr. Tomar, a friendly staff member of Supriya Aesthetic Dermatology answers questions regarding cost of treatment. We offer financing through CareCredit® and accept cash, personal check, and most major credit cards at our office. Look as young as you feel! Contact Dr. Supriya Tomar, a board certified dermatologist at Supriya Aesthetic Dermatology in West Palm Beach, FL. Dr. Tomar provides exceptional cosmetic dermatology solutions, such as Xeomin® for patients in Jupiter, West Palm Beach, and Palm Beach County. Our office looks forward to helping you achieve your desired results.